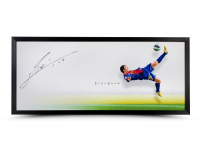 Custom framed photo measures 20" x 46" in size and has been hand-signed in black felt-tip pen by Lionel Messi. Lionel Messi is the best player in the world and is considered by many the greatest footballer to ever play the game. He is continuously breaking records and is single-handedly rewriting the FIFA record books. 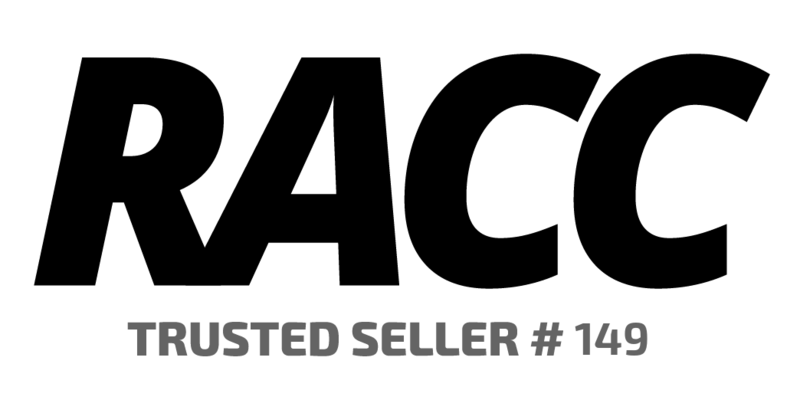 The FC Barcelona forward holds world records such as 91 goals in a year, European records such as the most European Golden Shoe awards (3), and Barcelona record for most hat tricks in official competition with 24. He has been awarded the FIFA Ballon d’Or as the world’s best player four consecutive times. Only 26 years old, Lionel Messi became Barcelona’s all-time top scorer at the age of 24, and now has scored more than 300 goals another milestone. Messi is often compared to legendary compatriot Diego Maradona due to his stature and style of play. This breathtaking colorful 20" x 46" framed display shows Messi completing a bicycle kick. 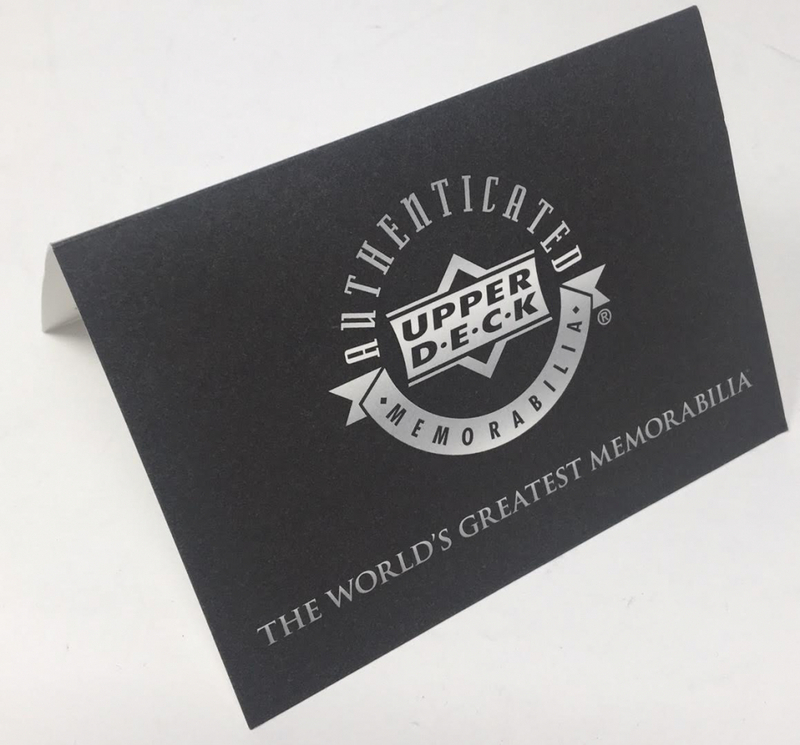 Messi's large black signature has been authenticated by virtue of Upper Deck Authenticated's Five-Step Authentication Process.